The first three months of 2017 was a rollecoster ride, like the trip to Australia and New-Zealand, the very succesful Global Integration Bootcamp, the publication of the labs, the guest blogs I wrote for BizTalk360 blog, and the collobaration with Kent on Middleware Friday. And the Month April was not different in experience. The month kicked of with a marathon run in Rotterdam. If there was any marathon in the Netherlands I wanted to do it was Rotterdam. The 9th of April was a very sunny beautiful day, however for running 42K it was a challenge. Yet I made it after 5:05:45. Besides running a marathon I prepared myself for a trip to Sweden to talk to the Swedisch BizTalk Usergroup in Gothenburg and Stockholm. Thanks to Johan Hedberg we (Eldert and myself) were able to travel to these nice cities in Sweden and do our talks (see Elderts post on the recap of that trip). Moreover, in Stockholm Eldert and myself joined an very interactive architecture session organised my Mikael Sand together with Mikael Hakansson, Johan Hedberg, Robin Hultman, Mattias Logdberg, and Joakim Schütt at Enfo. 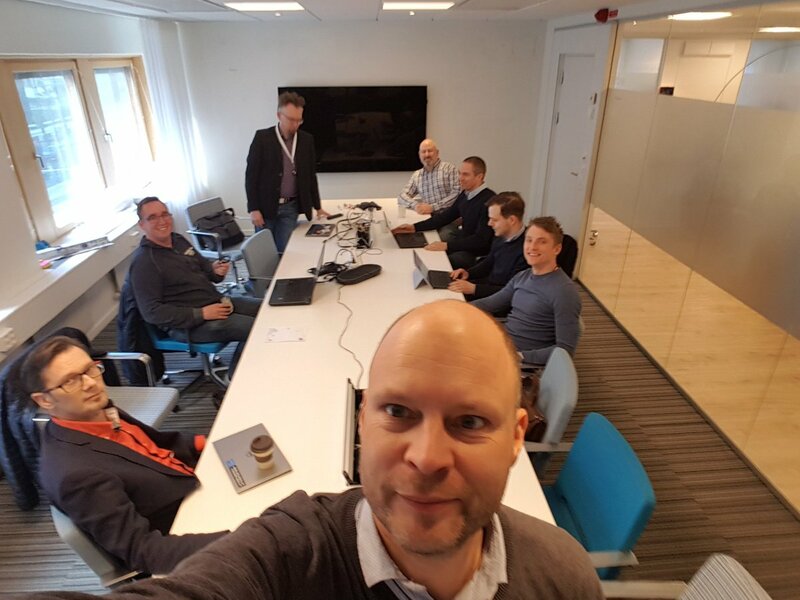 We talked about hybrid scenario’s, connectivity, workload driven design, Logic Apps/Functions and exchanged ideas, experiences and thoughts. It was a very useful sessions for all of us. After my trip to Sweden I went with my family to Prague, the capital of the Czech Republic. We spend a couple of days here to visit some remarkable areas of this beautiful city. The food, city and vibe was great. There you have it Stef’s fourth Monthly Update and I can look back again with great satisfaction. The marathon was a challenge, however I am happy I finished and completed my third marathon. I’m looking forward to my trip to Portugal, where I will be speaking at TUGA IT.